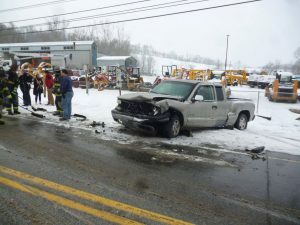 Another day, a nother snowfall, another accident. 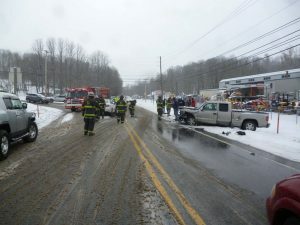 QFD and LEMSA responded to the intersection of Rt. 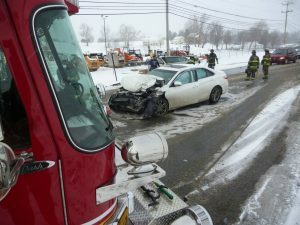 222 and Camargo Road in Providence Township for a class 1 accident. 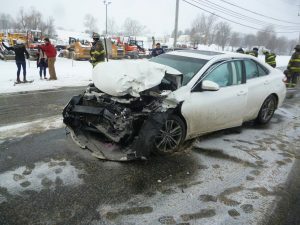 Crews arrived with a two-vehicle accident with heavy damage to the vehicle, but luckily, minor injuries. 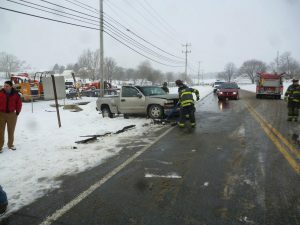 Crews cleaned up while QFD and Refton Fire Police directed traffic. Thanks for everyone in the back log being patient.